Find the right lid, right now! 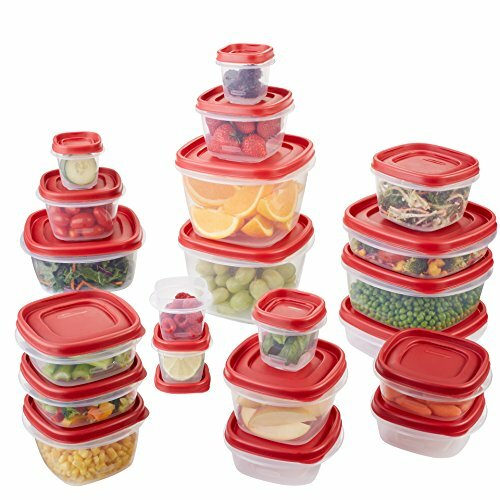 This 42-Piece Food Storage Container Set features the Rubbermaid Easy Find Lid system: the lids snap on to the container bases as well as other same-size lids, so that the right lid is always at your fingertips. These square, graduated-size containers nest together to give you more space in the fridge or cupboard.